The Philippine Embassy-Seoul hosted a by-invitation event last Thursday, the 9th of June, featuring a performance by Ballet Philippines entitled “Masterpieces: Celebrating the Tapestry of Filipino Culture and Friendship”. The event was held at the HOAM Hall of Performing Arts. The Ambassador, HE Raul Hernandez, and his wife, Madame Anna Hernandez, together with other Embassy officials welcomed guests composed of dignitaries, Filipino expats and Filipino community leaders. This is the first time that a Philippine Independence Day celebration was done showcasing premiere Filipino talent from Ballet Philippines. “Ballet Philippines is globally recognized as the country’s flagship company in ballet and contemporary dance”. 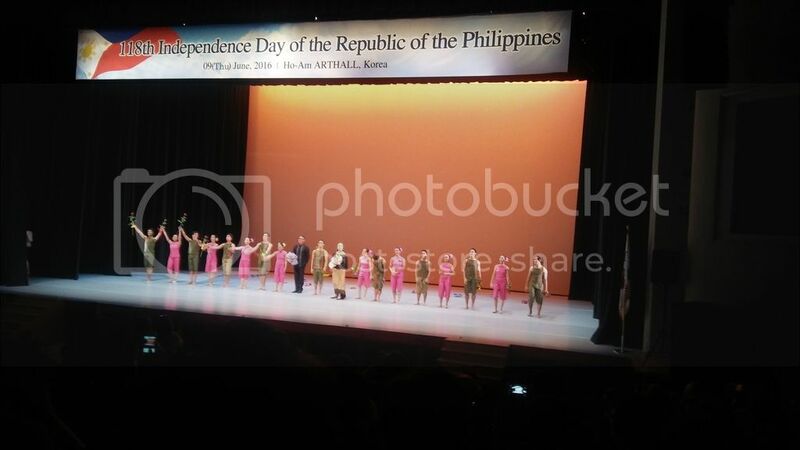 The Ballet Philippines performance was superb, to say the least. Impressive! Alternately serious and passionate and jolly and humorous. Their repertoire showcased mostly Filipino music. My personal favorite, and I guess most of us, was the Finale “Tambol at Padyak”. Their joy and their energy was very engaging. I was smiling all throughout the dance and got the inspiration to use “bakya” (wooden slippers) with my patadyong and kimona. Oh, these kind of exposures make us appreciate more what we have! 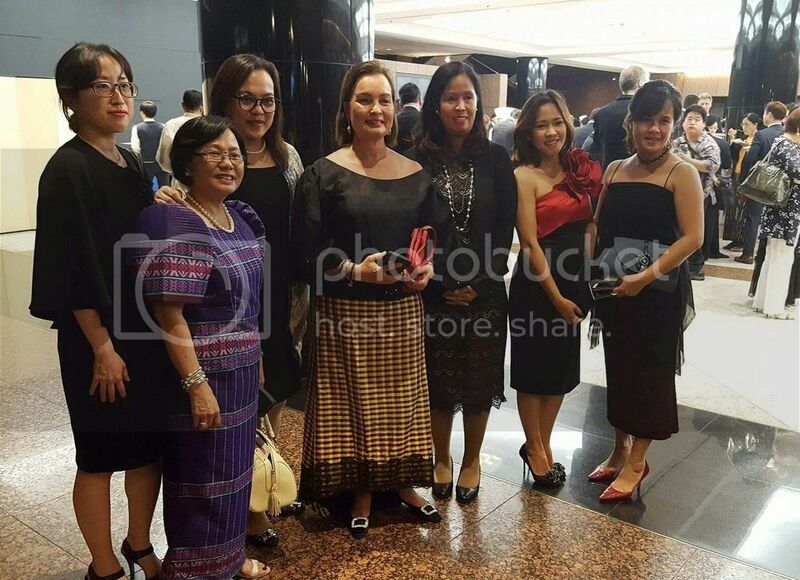 Miss Margie Moran-Floirendo, Miss Universe 1973 and President of Ballet Philippines, graced the event and graciously posed with guests during the reception. As a Miss Universe title-holder, she holds a rare and highly-esteemed position and remains a celebrity. Our group’s monopoly of her attention was interrupted when a Spanish couple approached her and took over the conversation. My friends and I went home with grateful hearts. Grateful for the Philippine Embassy – Seoul for bringing over world-class Filipino performances… Grateful for a night of quiet gathering over cocktails… Grateful for a memorable night of Philippine culture. Wow! I have no idea that the Flippino community is very tight knit. I’m happy to see that another group of foreigners in Korea celebrate their culture. I’m amazed by all of the Filipino events you attend in Seoul! It’s great you’re able to get back to your roots and immerse in your culture while in Korea. Thank you for the detailed accounts of your experiences! I love how well-represented the Philippines is in Seoul/Korea! It seems like you’re always doing something really interesting and related to your culture. Go you! You all look so beautiful in your dresses! Lots of activities to celebrate your culture in Seoul – that’s fantastic! I especially love the dresses, some very traditional looking in the last image. Everybody looks lovely! 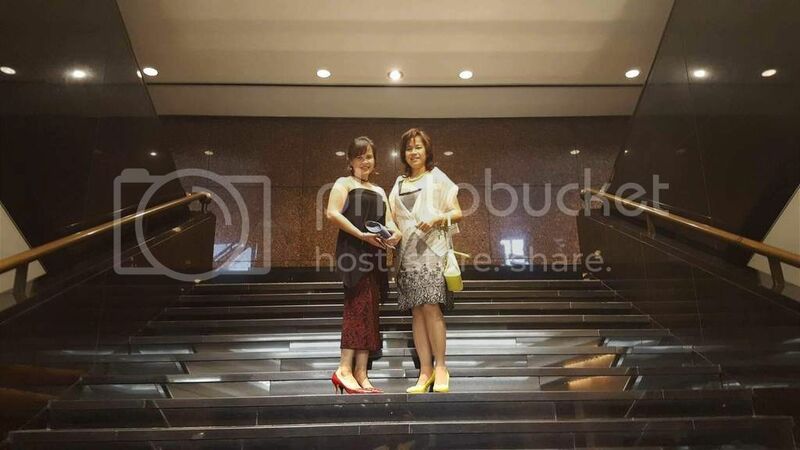 Ah yeah, it was a Filipiniana/business attire event. Some of us went for Filipiniana, some didn’t:-). What an incredible experience! Thanks for sharing this post – I’m very glad you had such a wonderful time and that the Philippine Culture is being showcased in Korea. I agree with Megan 🙂 I haven’t found a Malaysian community/club/etc. yet. Just a few Malaysian girls I hang out with in Daejeon. Maybe I should go out to Seoul more often. I love how you’re always finding ways to interact with other Filipinos in Seoul! It seems like such a great community of people who are always trying to find ways to make you feel like you’re at home when you’re far away.